Which Came First – The Heat or The Siesta? It’s a slow day here in Spain, so I too also had some time to write. This time on Siesta..
Siesta is adapted pretty strongly to the environment. Spain is very much like a desert, to my surprise, and the temperature just demands a slowdown during the hottest parts of the day. I visually think of African lions breathing listlessly and heavily on some rock outcrop in the heat of the day. The problem with siesta is that it requires a full commitment both at the societal and at personal levels, to which I’ll elaborate. But first to emphasize – the concept of time runs throughout every aspect of a society, from business practices to personalities to foods and to the way houses are constructed. To understand siesta, you have to understand that siesta is not just napping in the afternoon, but it is a concept of time – and thus its tendrils wind throughout society. On the personal level I struggled in Spain with my inability to adapt. Many times I hit that siesta time and could not justify sleep because I had too many things still to do that day. Or traveling, it’s hard to take a siesta in a city that you just drove two hours to see. The problem is, if you skip siesta then you are up into the wee hours of the morning (if alone because of the heat, but also because of the cultural requirement) and thus, always behind on sleep. Next thing you know, you slept in the next day, missing valuable cool hours which makes you want to push through siesta time to catch up on living life, which then continues the cycle. My time is Spain has been pretty dazy, and I think my wife would agree. On the societal level, siesta requires full buy-in because commerce requires everyone to operate to the same “global” clock. You must plan your day to the clock if you are to get the things done that interface with the world. Restaurants are open only specific hours, shops other hours, banks other hours. In the west, we are use to a strong 9-5 minimal agreement for most everything. 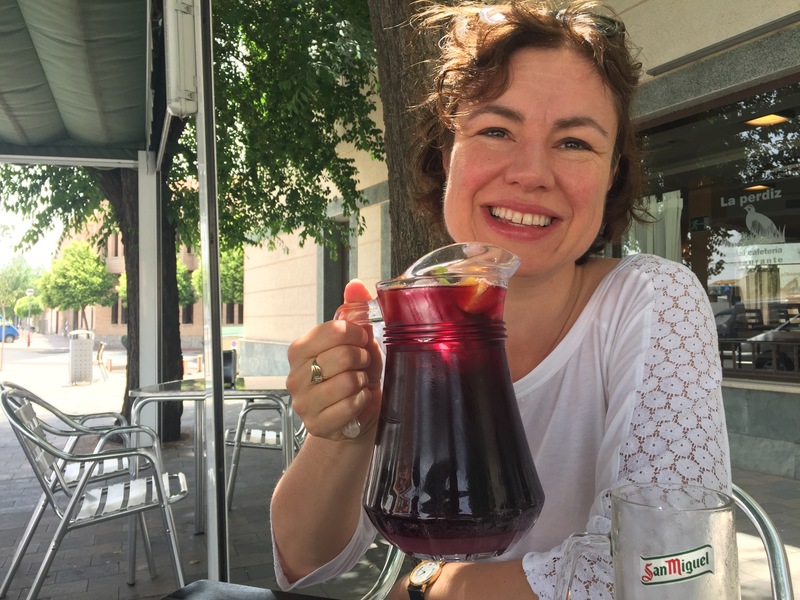 In Spain, there is a fair amount of on and off again, and with so much variation on the business that we were constantly struggling to know if something was open. And bizarrely, many places would vary opening hours throughout the week, and in many places they don’t even post their hours – its constant patchwork and guesswork. This later issue seems highly inefficient for societal and economic purposes. The emphasis on productivity in the U.S. cultural would have no tolerance for this inefficiency. In the U.S., we shave time from UPS drivers by automatically opening their door when they arrive at a drop off. In Spain, you have to make several trips at times to catch them when they see open. Even the extra trip home and back during siesta seems extravagant in personal indulgence. Perhaps that is why the Southwest U.S. is so addicted to air conditioning, because the desert environment demands a siesta, but the U.S. culture demands the more northern business style. So we adapt the environment to society and not the other way around. That’s obvious, but it is fun to ponder – what push made it be such that the societal style won in the Southwest U.S., and the natural environment influence won in Spain? It’s not just the westward migration – remember, Texas and the Southwest were independent and settled by Spaniards far before the English came. As to which is better, we do have a Spanish or two reader to the blog, so must be a bit politic. And naturally I abhor assertion of superiority of one cultures versus another, particularly given my love of culture. Finally, I’m ignoring the biological benefits to siesta – I’m a guy after all and do not take such base concerns in account, as Lenka can attest. But for me, I can say that without having given myself full over to the Spanish culture, the siesta basis to the concept of time has been a struggle. And I do believe that economically, the siesta basis of time puts the Spaniards and their former Siesta colonies at a disadvantage. So Si, after two weeks in Spain, I’m craving Anglo Saxon lifestyle. And knowing that it is some time away, my half Germanic roots are speaking strongly and are craving a return to the motherland.